1.8 Watt, 12-Volt Solar Battery Maintainer - SunForce Products Inc. 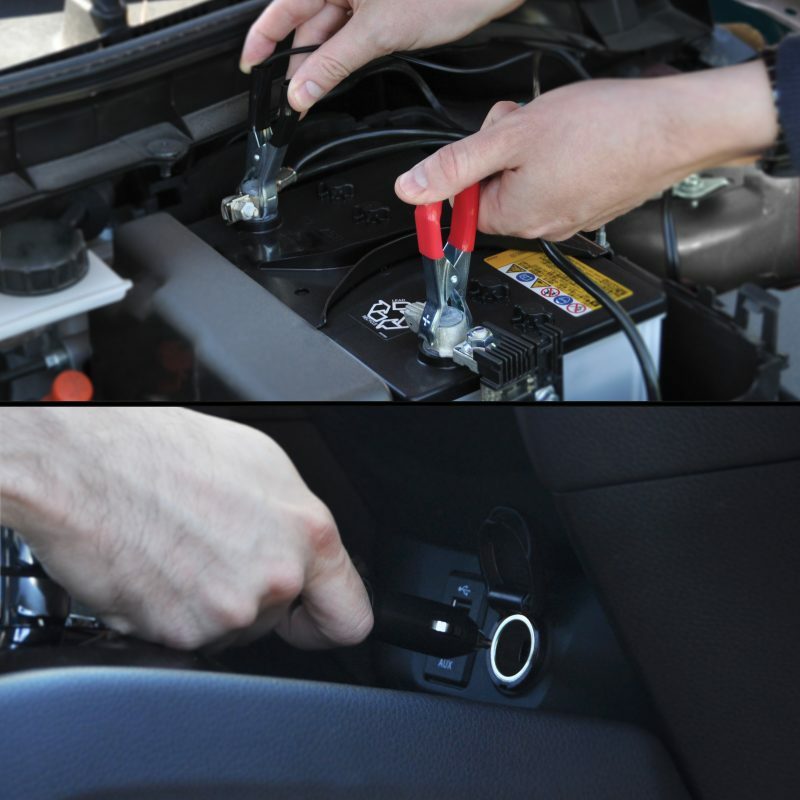 Maintain your vehicle’s 12V battery charge with the Sunforce 1.8W Solar Battery Maintainer. 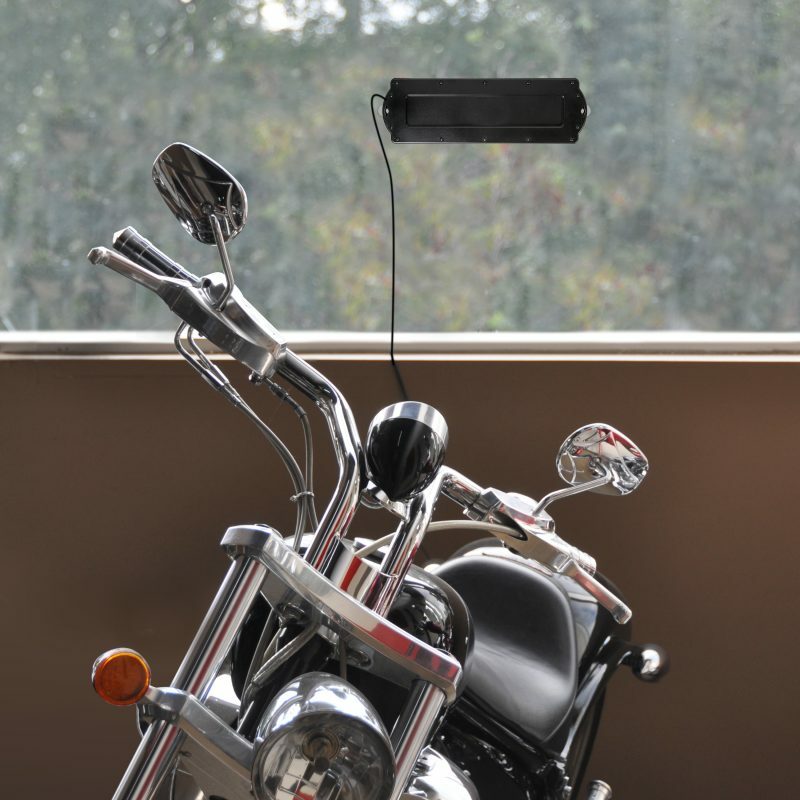 Ideal for maintaining the batteries of motorcycles, ATVs, snow mobiles, cars, and more! 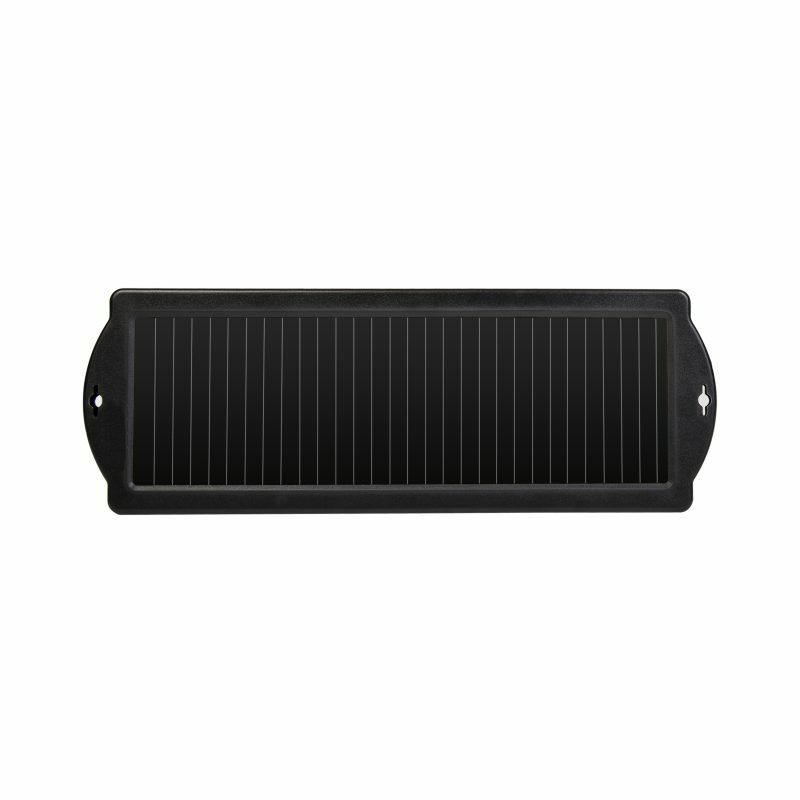 What type of batteries does this solar panel maintain? Can I start/drive my vehicle while the unit is connected to the battery? 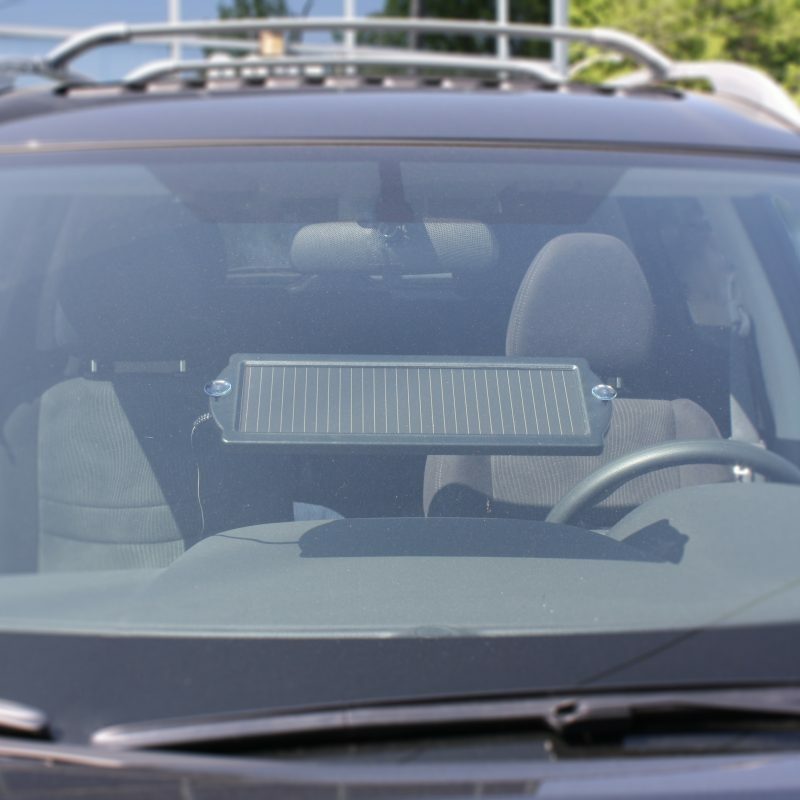 For safety reasons, the solar panel should be stored while the vehicle is in motion as any distraction to the driver can be dangerous. Will the solar panel overcharge my battery? No, anything below 15W will not overcharge a standard automobile battery. Do I need a Sunforce charge controller? No, a solar battery charge controller is only needed for panels of 15W or greater. How long does it take to charge a 12V battery? 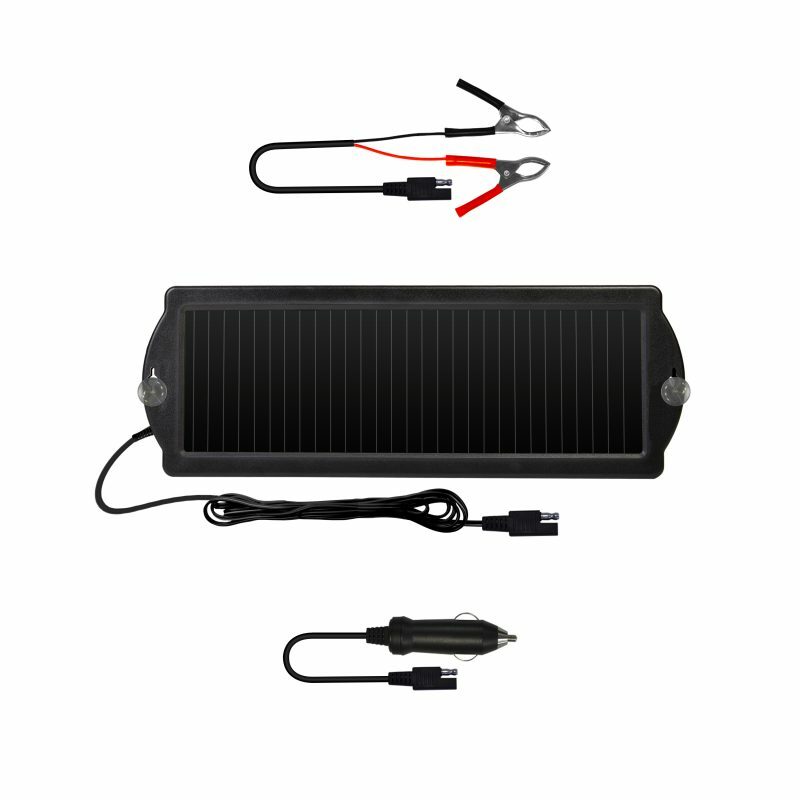 The solar battery maintainer is not meant to charge 12V batteries, it is designed to maintain an existing charge and offset the natural voltage loss of the battery. Can I extend the wire from my solar panel? 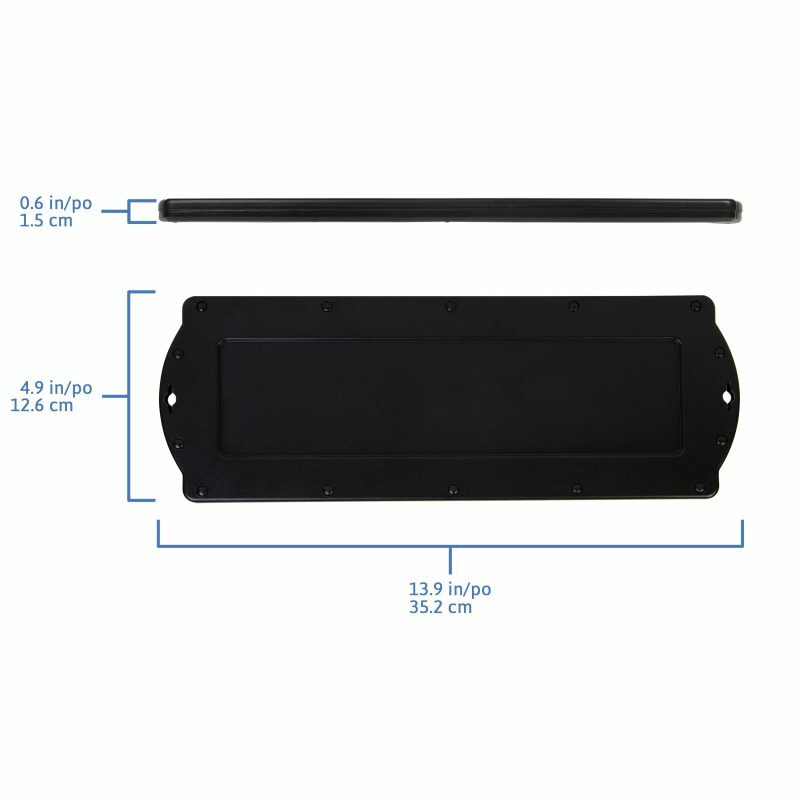 Yes, panel extensions and panel accessories can be purchased through our order parts page.